R.B.I. 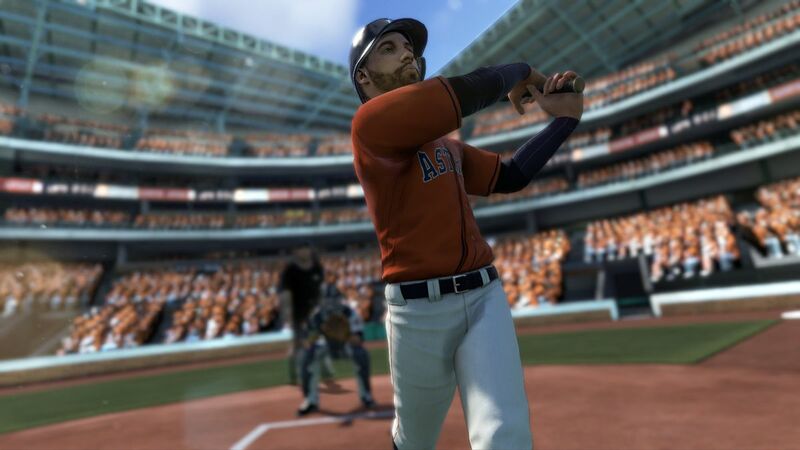 Baseball 18 tries to be a fun arcade-style sports video game with some big features expected of so-called sim titles. And it winds up struggling with both goals. The third entry in an ongoing effort to revitalize a series best known for its glory on the Nintendo Entertainment System, RBI 18 doesn’t really enhance the gameplay we all enjoyed in the original as much as it recreates it. While the recreation is faithful, it feels primitive today. In R.B.I. Baseball 18, I got stuck in many animations as someone ran to the ball — particularly the pitcher, after getting hit on a drive back up the middle, which happens a lot. Unless the fielding is switched to assisted — which governs all movement, leaving the player to handle throws — there was no break on the ball and no automated switching of fielders, which are things I’ve come to expect. It’s not an onerous extra step, but I didn’t find that to be a smooth experience. R.B.I. Baseball 18 falls short of delivering bang-bang action, let alone a popcorn appeal, when playing game after game, because the clumsy fielding often added baserunners to an inning, lengthening the game. Houston’s George Springer faces the Dodgers’ Clayton Kershaw at Dodger Stadium. Player modeling and signature animations have been improved. The improvements and new features in R.B.I. 18 are mainly in a new career suite that attempts to broaden the experience and give users more to play for. Users may choose from 52-, 81- and full 162-game seasons, with a postseason, involving any (but only one at a time) of the 30 big-league clubs. Personnel move around thanks to a trade feature that includes involves some basic trade logic, though it’s not too strict. Players may always turn it off, however, if they wish to freely swap and create a custom club — it’ll just take a little while and may make the other franchise rosters look a little weird. (I did not observe any of the CPU-controlled clubs initiating trades.) There’s statistics tracking for every season but it’s not a cumulative total for your career, which can last 10 years. I didn’t really mind this. There’s a rather deep pool of free agents, including some all-time greats, which are nice to have around. But there is no trading deadline and no limitation on adding players — to wit, I dumped Boston’s Dustin Pedroia for Hall-of-Famer Rod Carew after the first game of the American League Championship Series just to see if I could do it. The game is full odd choices like this. Take for example its handling of the All-Star Game. R.B.I. 18’s All-Star Game is locked to Nationals Park, where it is being played this year, and it does not alternate home and road teams into the future. Moreover, the rosters appear to be based on the 2017 game with minor deviations (cover star Francisco Lindor is the AL’s starting shortstop, for example). These rosters changed very little, only one or two players, as I progressed though future seasons. On the whole there wasn’t much showpiece appeal for the All-Star Game, just some generic field logos. Simulating the All-Star Game revealed how offense-oriented R.B.I. 18 is, particularly for the better hitters controlled by the CPU. Pitchers, even all-stars, had very high ERAs, though their strikeout totals appeared high as well. I know that when I was hitting even on normal difficulty, I had a very tough time getting my timing down. Playing on a PlayStation 4 (not a Pro), the fastball felt like it lost a lot of frames as it traveled to the plate. 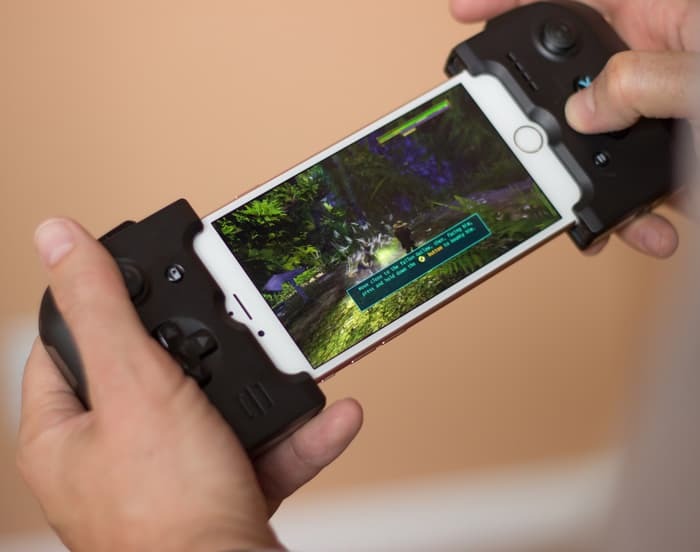 You don’t have much of a window to decide if something is worth swinging at, and with the game focused on arcade — or at least a hybrid of arcade and sim action — I wouldn’t expect human players to want to play this game with strict hitting discipline. The viewing angle as the delivery comes to the plate isn’t optimal, but I recognize the need to remind folks of the original R.B.I. Baseball by Tengen. There was also a sense that the game was producing generic hits and trajectories. As I mentioned, the pitcher gets hit on comebackers a lot, and there are a lot of long drives to the alleys that can still be run down by fielders. I don’t expect a physics system as quirky as MLB The Show 18’s, but R.B.I. 18 didn’t even show me the kind of variety I see in Super Mega Baseball. At least the look has improved. MLB Advanced Media has given the baseball players a welcome coat of polish with some better facial modeling and batting stances and pitching windups, especially the recognizable stars. Their faces are recognizable but look caught in a vacant stare in the few cutscenes the game features. But Aaron Judge is as appropriately enormous as Jose Altuve is tiny. There’s a slicker but still bare-bones presentation, with nicer menus and a soundtrack you’d expect of a league-licensed game. Judge, though, points out something I find curious: the choices made with regard to the Home Run Derby mode, which for an arcade-style game should be more of a showpiece. Instead it adheres to the timed format of the real-life competition, which has the effect of making it rather bland. Users playing against the computer will not see their opponent take his swings, so it’s a matter of hitting as many homers as you can and then hoping for the best as you get a number simulated in the background. 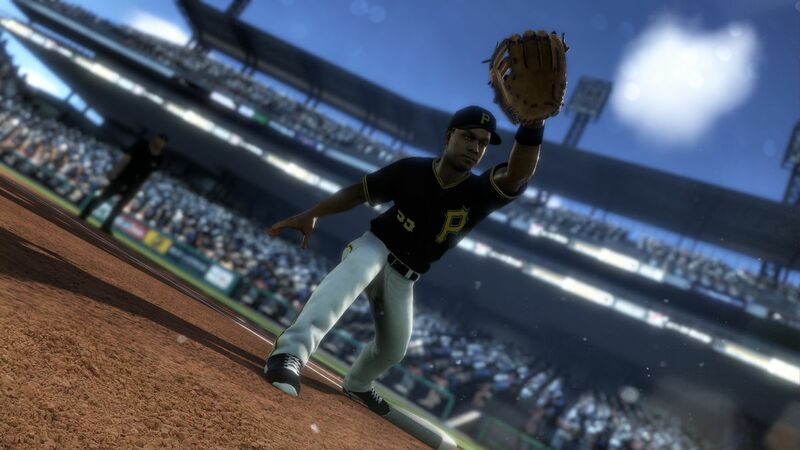 I get the fact that since this is a game made by MLB, the developers would want to stay as realistic as possible. (And MLB The Show 18 adheres to the real-life format, too.) But for me it this highlights how an arcade-sim hybrid of a sports game ends up not highlighting either phase that much. I was happy with the Statcast figures as my shot arced for the stands, but it was effectively a one-button game, and the only way it could be exciting is if it was allowed to have diversions like bullseye targets or bonus points for streaks. I don’t want to beat up MLBAM for something this game isn’t, but I also can’t suggest that there is much of an opportunity to get deep into what it does offer. This is the first year MLBAM brought the game in-house, and the iterative nature is something all sports video games face. But some true arcade touches, like boosts or buffs in the career mode, or a livelier in-game presentation, would go a long way. I’m reminded of another beloved early console sports title: Tecmo Super Bowl, which got a reboot with something called Tecmo Bowl Throwback in 2010. There was a lot of nostalgia and excitement for it, and Koei Tecmo scrupulously carried over the same roster strengths and player ratings, even if it could not use the real teams or the original athletes. So players were left realizing how outdated the original gameplay really is in the present, lacking a lot of the game’s original intrigue. Well, R.B.I. Baseball 18 is better than Tecmo Bowl Throwback, but it presents the same kind of reminder. Next year, R.B.I. 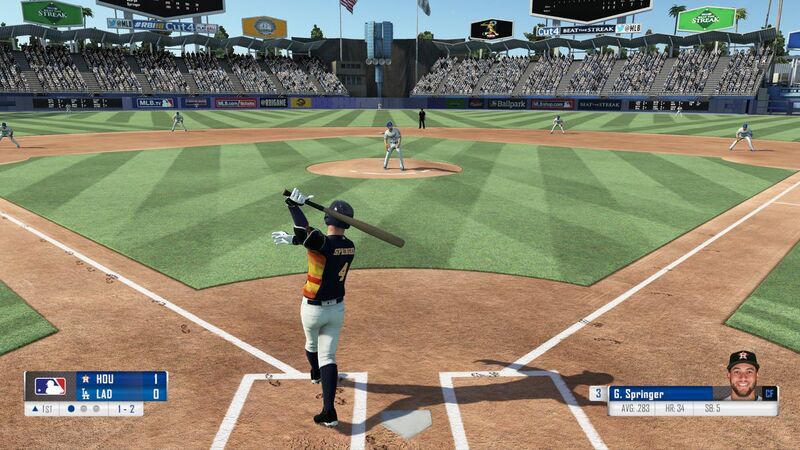 Baseball 19 will really need to buckle down on offering fast-paced gameplay that’s a little more interesting to watch.